When you think about furniture, it’s difficult not to think of Ikea. That’s how iconic the brand is when it comes to furniture design. And why wouldn’t it be? 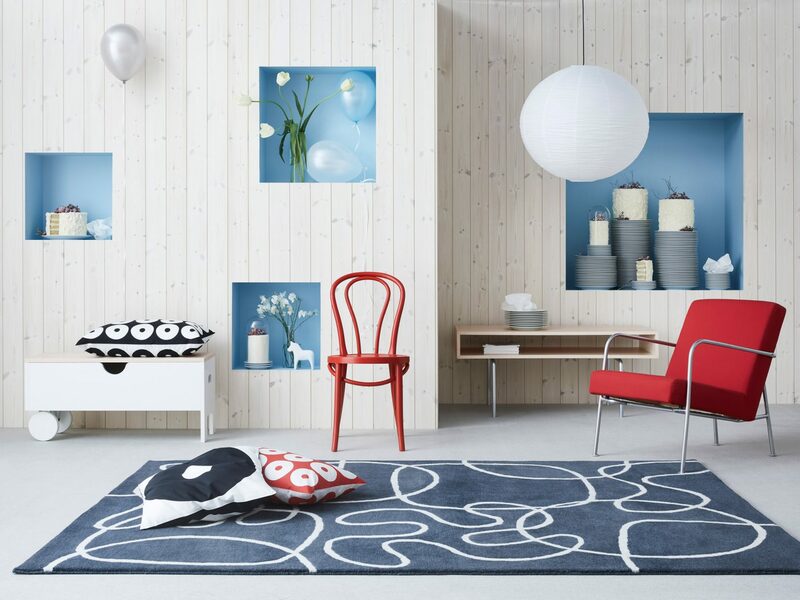 This furniture giant from Sweden has been influencing the world of design for 75 years now! Yes, that’s right. 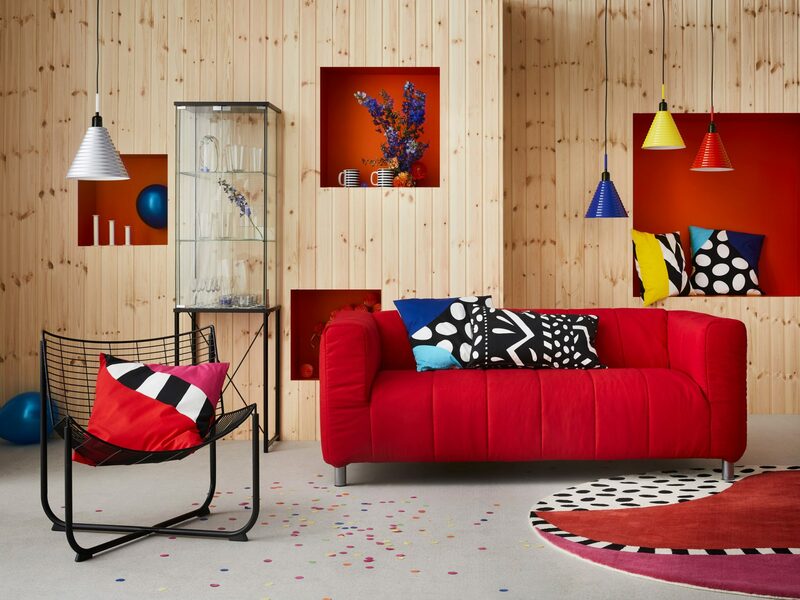 This year marks Ikea’s 75th anniversary, and they are releasing an anniversary collection made up of their most iconic pieces. Aptly named “Gratulera” (which is Swedish for congratulate), their collection will have three separate launches, or sub-collections: 1950s to 1960s, 1970s to 1980s, and 1990s to 2000s. The first one, 50s to 60s, is set to be released this August. The next one will be around October. And of course, the final collection will be released in December along with the holiday season. So be sure to mark those calendars! Gratulera will not only include their most iconic furniture, but will also feature lighting and tableware collections. One such piece is the LÖVET table (now known as LÖVBACKEN), which is the company’s first knock back product. This collapsible concept was apparently brought into life when one of their employees dismantled the LÖVET’s legs to fit it into his small car. Fast forward to today, almost all of Ikea’s pieces are flat-packed and can simply be assembled at home for convenience. This very concept, catapulted Ikea to furniture design fame, making it almost impossible to imagine that this giant furniture company started by just being a small post order business ran by a teenager. 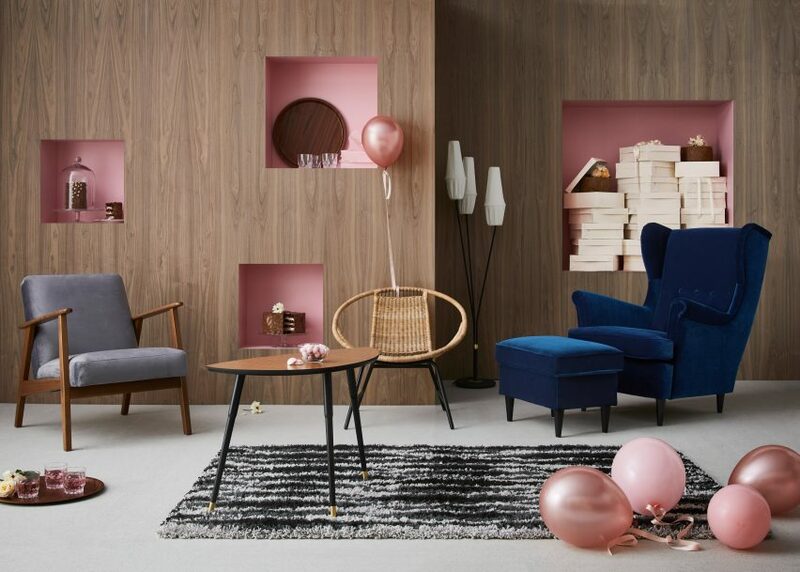 The 70s to 80s collection will be just exciting as the company will relaunch the original Klippan sofa, which we have seen grow and adapt throughout the years, along with other Retro-inspired items. Finally, the 90s to 00s collection will include Thomas Sandell’s sculptural furniture, such as the iconic small bench with wheels, which was another game player in the world of furniture design. Ikea announced that each design will be released in limited edition, so be sure to plan your purchases wisely. Barcelona is a city of great culture and amazing architecture which makes it one of the most popular tourist destinations in the world. Some of the most recognizable architectural masterpieces were constructed by the one and only Antoni Gaudi, who at the beginning of 1900 started to build a house which today is considered as one of his greatest works. The name of the house is Casa Batlló and the architect’s idea was to depict Saint George and the dragon. He was hired by the Batlló family to rebuilt their previous home. The owner gave total freedom to Gaudi to do what thinks its best to reconstruct the whole place. With his artistic vision, he created the most authentic work of art. The texture of the façade looks like a dragon’s gills and there is a cross on the roof that represents the saint. The balconies which are carved of cast iron look like faces and suppose to be the skulls of the dragon’s victims. The unusually shaped windows in the lower part of the house and the entrance have white curved frames and highly decorated columns that combined together look like a dragon’s jaw. That is way Casa Batlló is also dubbed as the House of Bones. The interior is as bizarre as the exterior. One of the most stunning spaces is the loft with its nadrealistic white walls that looks like a dragon’s spine. The main floor is the largest space in the house which has the unusually shaped windows covered with colorful stained glass. The most popular feature in the house is the roof which according to Gaudi represents the dragon’s back. It is made of colorful ceramic tiles and there is a small window shaped like a triangle that symbolizes the dragon’s eye.